Ahh, so you've come to see my art, huh? Good! These are some of my best drawings, but I'm always trying to improve my abilities. I've been lazy, but I want to start drawing again. If you want to give me ideas on what else to draw, please tell me. I hope some of my future drawings will include more Ranma 1/2 and Ah! Megami-sama. As soon as I learn how, I'm gonna make thumbnails for the pictures. I like to hear feedback (mostly positive ^_-), so don't be afraid to e-mail me. 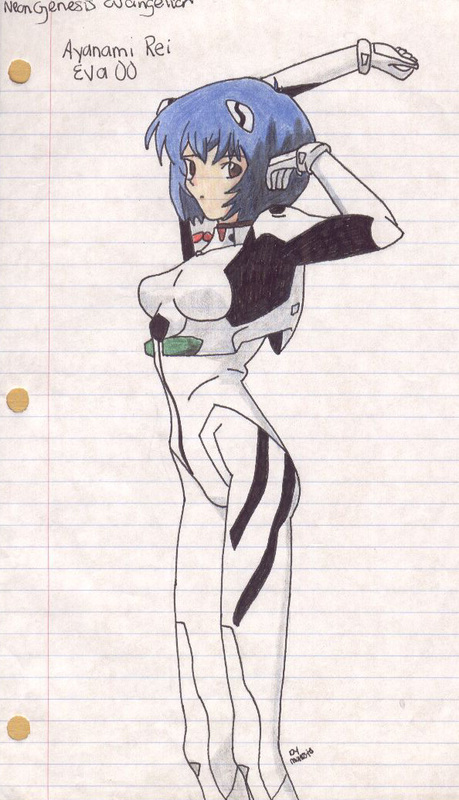 The very one from Neon Genesis Evangelion. This has the same story as my Lina drawing, except I did Rei before I drew Lina. This picture is(was) on my 5th hour folder, so I copied it from there. This is one of my first serious Sailormoon drawings. This, surprisingly, was done at home ^_^. I have done the other 4 scouts in similar poses. I might scan my Mako one, since I really like that one.